Sangria isn’t just for summer! 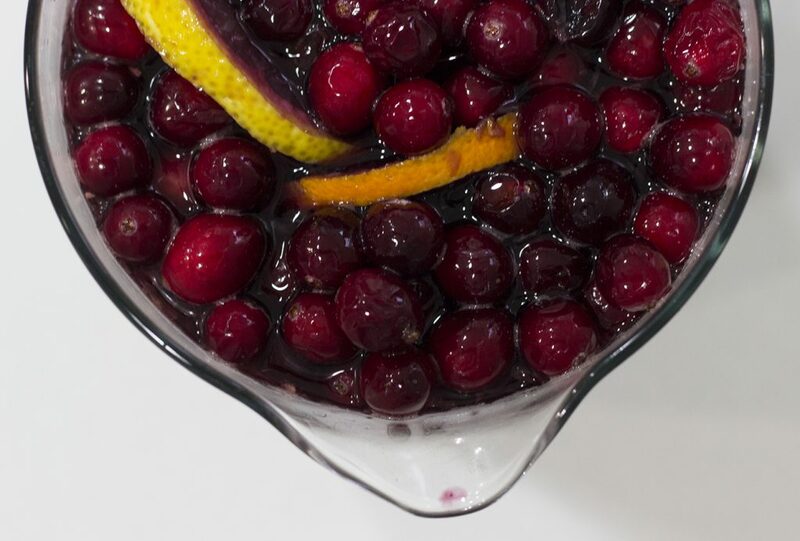 This winter sangria is perfect to prepare in advance before family arrives for the holiday party you’re throwing. I’ve actually made it and taken it to parties with me and it always goes over well. This sangria has a warmth to it, which is helped along by the fruit, spices and the use of a local Cabernet Franc by Colchester Ridge Estate Winery. While Cab Franc has historically been a blended wine, CREW says that it truly comes into its own in the Lake Erie North Shore appellation. With the Windsor-Essex regions long growing season and abundant sunshine, Lake Erie Cab Francs can develop wonderful, perfumed bouquets and rich flavours, and the Cab Franc is no exception. It is described as “alluring and distinguished”, so this is a perfect bottle to bring to the table when you aim to impress. Save time by making it in advance. In a small pot add 1/2 cup of sugar and 1/2 cup of water. Heat the sugar until it is dissolved. Set aside and let it cool. In a large pitcher add the wine, brandy, gingerale, orange juice, cranberries, lemon and orange slices and cinnamon stick. When the simple syrup (sugar/water mixture) has cooled, add it to the pitcher and stir. Let the sangria sit in the refrigerator for 2-3 hours. Drink and enjoy!